The Protectimus Solutions LLP team is happy to announce that our two-factor authentication solution has been successfully integrated with Citrix NetScaler Gateway and that Protectimus has been certified as a Citrix Ready Partner. 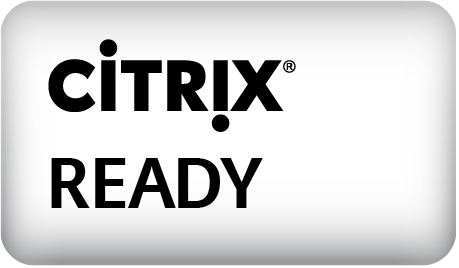 The Citrix Ready program exists to verify the compatibility of third-party software solutions with Citrix products. This allows users of Citrix to be confident in the reliability and compatibility of third-party software solutions with their existing systems. Protectimus’ two-factor authentication solution has demonstrated its compatibility with Citrix NetScaler Gateway 10.1, NetScaler Gateway 10.5, and NetScaler Gateway 11.0. Citrix Access Gateway is a program used for secure remote connection to key applications and data, and for detailed control of these applications. More often than not, software like this is used in large enterprises with many employees and, sometimes, numerous affiliates. Such companies store large sets of data, such as documentation, important corporate documents, and users’ personal information. Thus, they require hardened security systems. One crucial element of an advanced and reliable data protection system is two-factor authentication. Protectimus is an expert in this area, offering complex 2FA solution available as both a cloud service and a stand-alone platform, as well as the ability to implement custom solutions at clients’ demand. Protectimus can generate one-time passwords using software or hardware tokens, as well as by distribution through SMS or e-mail. We offer physical tokens working on the TOTP and OCRA algorithms, and also reprogrammable TOTP NFC-compatible tokens. Protectimus offers its clients additional functionality that may be of interest: data signing or CWYS (Confirm What You See), temporal and geographical filters, and intelligent identification. These possibilities enable us to reach a high level of reliability and protect our clients’ systems from most of today’s known threats – phishing, Trojan viruses and other malware, data breaches, and “man in the middle” attacks.